I know January is all about starting those New Years resolutions and getting on track with your goals, but for me personally January is recovery month. It’s usually the first week of February where my can-do attitude kicks in and I’m all like “Let’s do this!” Whether it’s nutrition, exercise, learning something new, or car and home maintenance – I’m ready to tackle my goals and to-do list. In an effort to not completely overwhelm myself and make sure I am successful when it comes to achieving my goals, I’ve been trying to set small ones. For February, it’s been all about my home and getting it in tip top shape. For March, it’s my eating habits. Baby steps my friends. It’s what works for me. Something big happened to our family a few months ago. Are you ready for this? We became a non-mini driving van family. Which was a completely different feeling than the day we became a mini van driving family. We still have our three kids. We didn’t get rid of one. They’re just bigger and older and have active social lives. Which means we rarely all ride in the car together. And when we do, guess what? They’re big boys and girls, er girl, now and they can sit by each other, keep their hands to themselves and not argue. It is a beautiful season of life to be in. 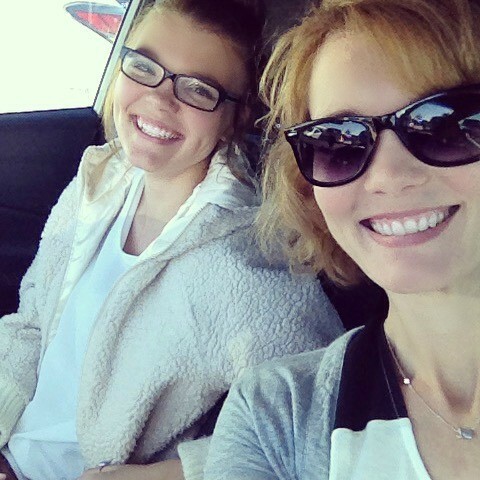 Here’s my daughter and I cruising around in the Kia. Actually we were parked. Don’t take selfies and drive!! So I now have this beautiful Kia Rio I’m driving. Yes, it’s small. Yes, my 6 foot son complains about the leg room. Yes, he gets over it and I’m sure it’s teaching him some sort of valuable life lesson being crunched in the back. But it’s all mine. It’s new and I seriously need to take care of it. One way is with regular oil changes, using a quality oil. I took my beautiful car to the Walmart Automotive Care Center for an oil change. I pulled in where you see the cool flags in the photo above and was greeted by a Car Care Manager. He walked me through the process and we decided on the Pennzoil Conventional Motor Oil (the pretty yellow bottle), a traditional oil base, fortified with Active Cleaning Agents™ to continuously prevent dirt and contaminants from creating performance-robbing deposits. He told me it would be about 30 minutes and I knew exactly what I was going to use that time for! 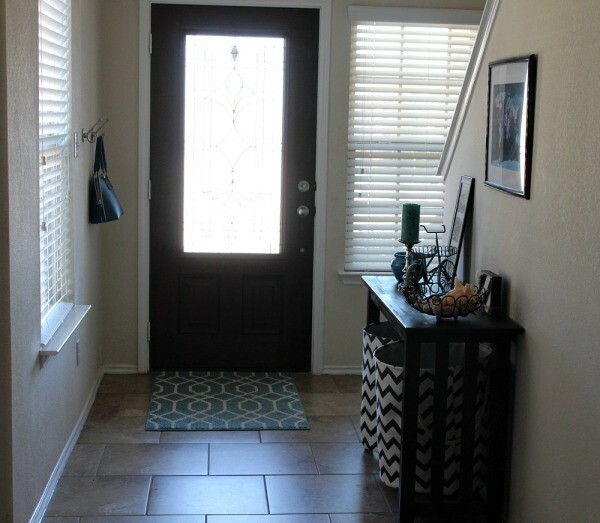 Shopping for my entry way room refresh! The awesome thing is while I was shopping for my room refresh, my car was getting a refresh too. I purchased a package up from their basic, so not only were they changing the oil, but they were checking fluid levels, vacuuming the carpet, checking the wiper blades, plus a number of other things. While my car was being taken care of by the Walmart Car Care Manager and his team, I got to shopping. I knew I needed baskets, hooks and a candle. Pretty specific things, I know. It’s how I roll. 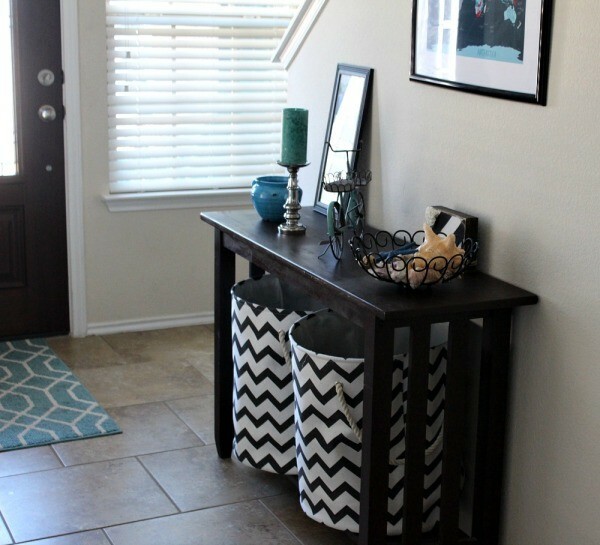 I found exactly what I wanted for my entry way and I love how clean and organized it looks. No more backpack and purse on the floor. No more shoes scattered about. The candle helps makes the entry way smell amazing, which is really nice to be greeted by as we’re walking in the door. I love the convenience of being able to shop while getting my oil change. I’m a busy woman with places to go and people to see! Sitting and waiting for an oil change isn’t exactly on my schedule. 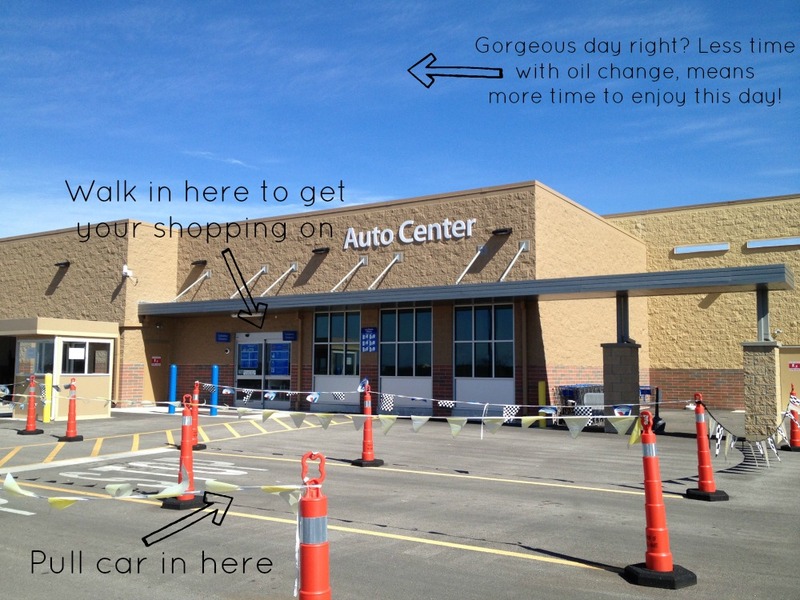 I was chatting with a lady who was also at Walmart getting her oil changed (we were smelling the candles together – bonding) and the first place she went to, they told her it would be a 2 1/2 hour wait. Say what?! That’s crazy making right there. 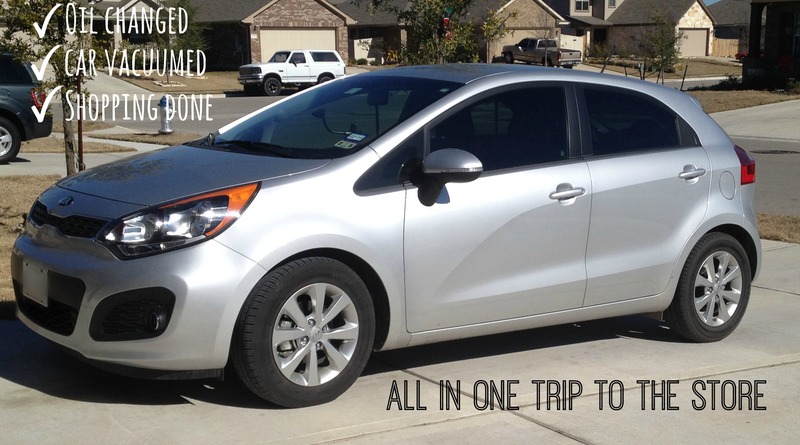 A Few Reasons to Use Pennzoil, Plus a Coupon and a Giveaway – Woohoo! Did you know…All Pennzoil products help clean out sludge lesser oils leave behind? It’s true. Did you know…Pennzoil is designed for complete protection and will allow you to drive an extra of 550 miles per year vs. a dirty engine? It’s true. Did you know…No other motor oil provides better protection from friction? It’s true. Did you know…Pennzoil is spelled with two n’s? It’s true. Did you know…Pennzoil also offers a free warranty that covers 15 engine parts that may fail due to engine wear or which experience abnormal wear due to friction? It’s true. Where do you get your oil changed? Do you get to shop for household supplies and groceries while doing so? It’s one of those things you have to do to keep your car running and you never seem to have the time for. Well now you can get some shopping done and get your oil changed. Win-Win. I know what you mean about the terrible daytime tv David! Last time I had my oil changed, my 10 year old was with me and there was something on I really didn’t want him watching.